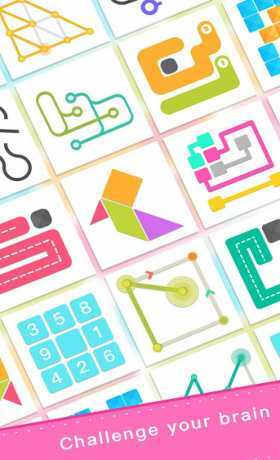 Brainzzz 2.4.5 Apk + Mod (Unlimited Coins) for android Brainzzz is a Puzzle Game for androiddownload last version of Brainzzz Apk + Mod (Unlimited Coins) for android from revdl with..
Rancho Blast 1.4.9 Apk + Mod (Unlimited Money) for android Rancho Blast is a Puzzle Game for android download last version of Rancho Blast Apk + Mod (Unlimited Money) for..
Potion Maker 3.7.5 Apk + Mod for android Potion Maker is a Casual Game for android download last version of Potion Maker Apk + Mod for android from revdl with.. The Secret Society 1.40.4000 Apk + Mod(Money/Energy) for Android The Secret Society is an Adventure Game for Android Download The Secret Society from the link below TOP SELLING HIDDEN OBJECT GAME ON..
Matchington Mansion: Match-3 Home Decor Adventure 1.40.1 Apk + Mod (Coin/Live/Star) + Data for android Matchington Mansion: Match-3 Home Decor Adventure is a Puzzle Game for android download last version.. Idle Planet Miner 1.1.1 Apk + Mod for android Idle Planet Miner is a Simulation Game for android download last version of Idle Planet Miner Apk for android from revdl..